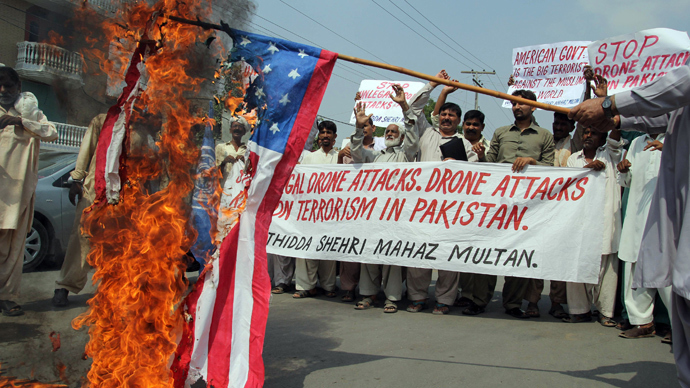 Continuing US drone strikes in Pakistan threaten the country’s peace talks with the Taliban, says a local political leader. 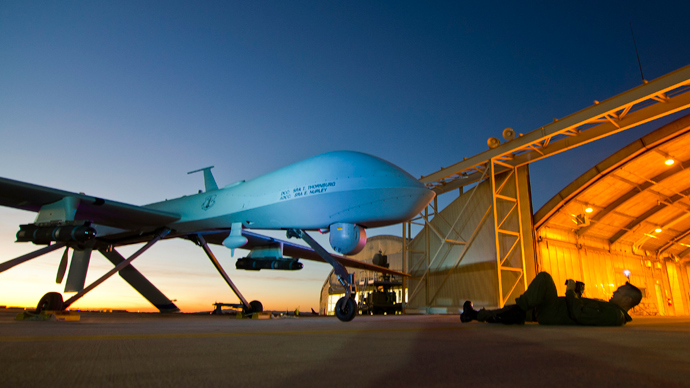 If Washington persists with drones, ISAF supplies and next year’s withdrawal of US troops from Afghanistan could be hampered. Islamabad is firmly set to negotiate a peace truce with the Taliban movement, so Pakistani politicians have to share responsibility for the American allied actions, which is officially confronting the Taliban in Afghanistan and unofficially in Pakistan, using ‘precision’ missile strikes from remotely-operated drones. 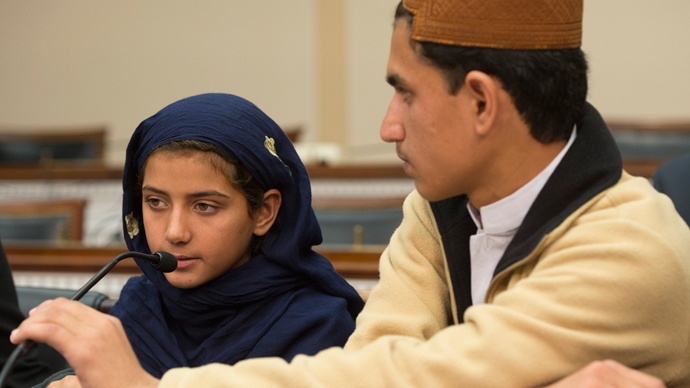 Imran Khan, the leader of the Pakistan Movement for Justice (PTI) that controls Pakistan’s northern Khyber Pakhtunkhwa province, believes the time has come for another ‘it’s drones or transit’ ultimatum to America. 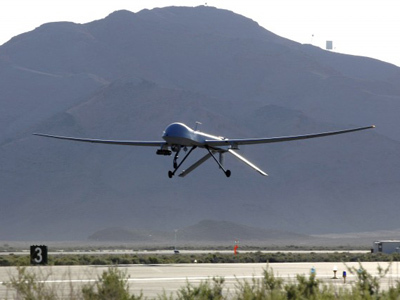 “If drone attacks are carried out during peace talks with the Taliban, NATO supplies will be stopped,” the politician told journalists at a press-conference in Lahore, an eastern city on the Pakistani-Indian border. This is the second time that Imran Khan has threatened NATO transit in Pakistan, which supplies the allied contingent (ISAF) in Afghanistan. On Thursday the government of Prime Minister Nawaz Sharif announced in an official statement it is conducting negotiations with the Pakistani Taliban. “The prime minister informed (the deputy prime minister) that dialogue with the Taliban has started. He said that he hoped and prayed the dialogue would work within the constitutional framework of Pakistan,'' the statement read. The Pakistani the government “could not wait and see innocent people and members of law enforcement agencies being killed in the streets of Pakistan,” Nawaz Sharif commented, during a visit to London where he met with his British counterpart. 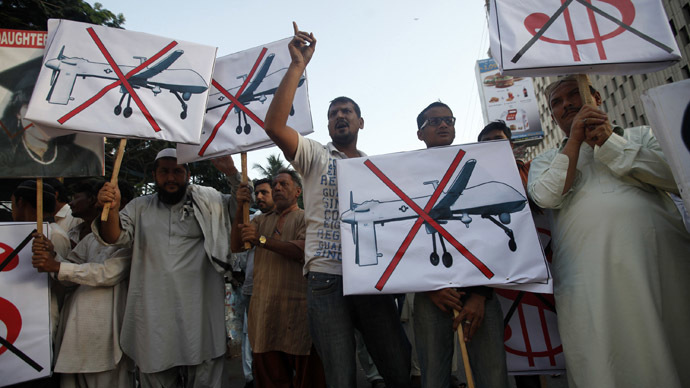 The Taliban has reportedly demanded that the Pakistani government stop drone strikes, too. 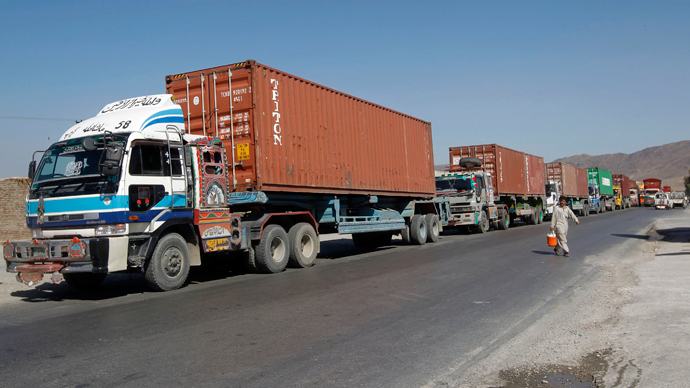 Khan’s Khyber Pakhtunkhwa province hosts one of the two vital supply routes from Pakistan’s port of Karachi to Afghanistan, another is through the southwestern province of Baluchistan. Both routes are vulnerable for NATO convoys because they pass through tribal zones and have to be guarded by Pakistani troops. 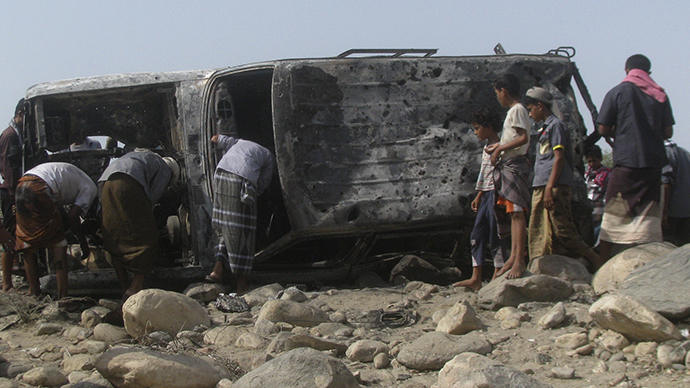 From time to time, convoys are attacked and destroyed. Speaking at a press-conference in Lahore, Imran Khan stressed his party have the means to halt ISAF supplies and warned against not taking his words seriously. While supply routes via Pakistan are the most cost-effective and remain highly important for the NATO contingent in Afghanistan, it nevertheless has some replacement options up its sleeve. 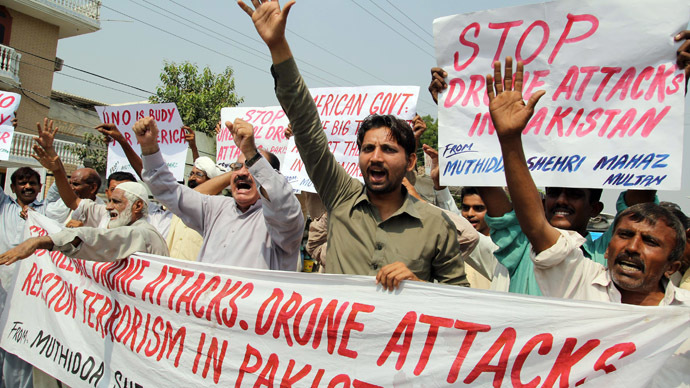 Last year’s standoff over drones between Washington and Islamabad, caused by a friendly-fire incident that claimed the lives of 24 Pakistani soldiers, closed the transit route through the country for seven months, from late 2011 till mid-2012. But it also proved that the ISAF could do without it. 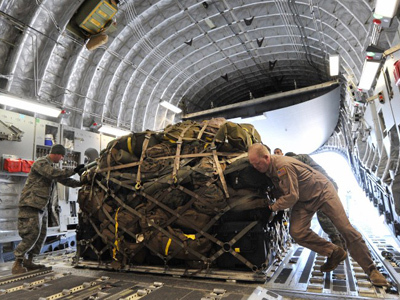 However, that does not apply to the reverse logistics of thousands of tons of valuable equipment that the US and its allies will have to evacuate from Afghanistan, within the announced withdrawal of the troops from the country planned for 2014. If the route to the port in Karachi is blocked, unbudgeted expenditures for the ISAF could be astronomic, and also cause a logistics nightmare. And even after the withdrawal, the US will need the Pakistan route because mercenaries that remain in Afghanistan will still need supplies. For PM Nawaz Sharif, the problems with ISAF convoys also mean worsening relations with America, something he really values. In the case that the transit is halted, “The federal government would be embarrassed and be in a very unpalatable situation of having to act,” Khalid Aziz, former chief secretary of Khyber Pakhtunkhwa, said. “It would lead to a political crisis,” he specified. 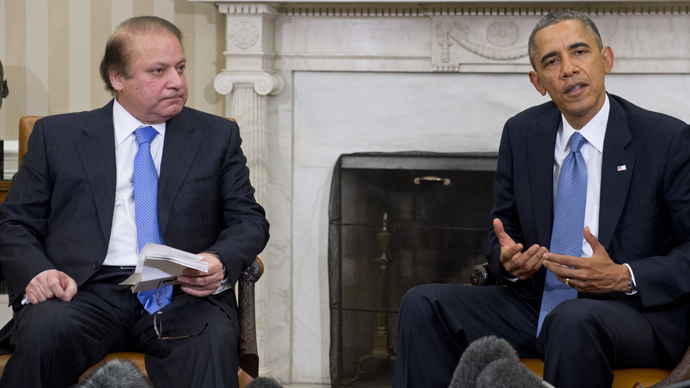 Still, meeting with the US president recently, he also demanded drone warfare to be stopped in Pakistan. 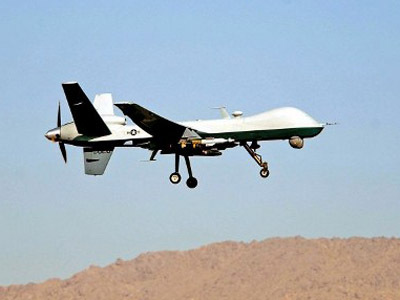 In the meantime, American drones are performing regular extrajudicial killings of Islamist leaders, accompanied by the collateral damage of many civilian casualties.